Note: See the full blog series here. This series is designed to introduce lay Christians to the basic facts of how the New Testament canon developed. One of the key data points in any discussion of canon is something called the Muratorian fragment (also known as the Muratorian canon). This fragment, named after its discoverer Ludovico Antonio Muratori, contains our earliest list of the books in the New Testament. While the fragment itself dates from the 7th or 8th century, the list it contains was originally written in Greek and dates back to the end of the second century (c.180). What is noteworthy for our purposes here is that the Muratorian fragment affirms 22 of the 27 books of the New Testament. These include the four Gospels, Acts, all 13 epistles of Paul, Jude, 1 John, 2 John (and possibly 3rd John), and Revelation. This means that at a remarkably early point (end of the second century), the central core of the New Testament canon was already established and in place. Of course, it should be acknowledged that the Muratorian canon also seems to affirm the Apocalypse of Peter. However, the author of the fragment immediately expresses that some have hesitations about this book. Those hesitations eventually won out, and the Apocalypse of Peter was never widely affirmed by the early church, and never earned a final spot in the canon. The fact that there was some disagreement during this time period over a few of the “peripheral” books should not surprise us. It took some time for the issue of the canon to be settled. This occasional disagreement, however, should not keep us from observing the larger and broader unity that early Christians shared regarding the “core” New Testament books. If there was a core canon from an early time period, then there are two significant implications we can draw from this. First, this means that most of the debates and disagreements about canonical books in early Christianity only concerned a handful of books. Books like 3 John, James, 2 Peter and so on. Early Christianity was not a wide open literary free for all, where there was no agreement on much of anything. Instead there was an agreed-upon core that no one really disputed. Thus, the Muratorian fragment stands as a reminder of two important facts. First, Christians did disagree over books from time to time. That was an inevitability, particularly in the early stages. But this list also reminds us of a second (and more fundamental) fact, namely that there was widespread agreement over the core from a very early time. The Muratorian Fragment (Canon) puts paid to the latest attempt to add to the NT, The New New Testament, by Gnosticism; or in this case, Neo-Gnosticism. It shouldn’t amaze me, but it still does, that many “Christian” scholars “so-called” do not belief the very Scriptures that claim to proclaim. These scholars buy into the world’s view of what is scholarly knowledge. 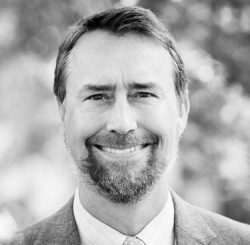 The entire article by Scot McKnight is excellent, “Where Christian Theology – All of It – Begins.” (http://www.patheos.com/blogs/jesuscreed/2013/05/13/where-christian-theology-all-of-it-begins/?htm_source=feedburner&utm_medium=email&utm_campaign=Feed%3A+PatheosJesusCreed+%28Blog+-+Jesus+Creed%29). 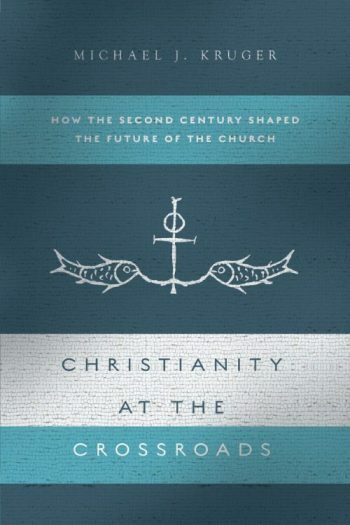 The first part of the article deals with why Christian Theology begins with Scripture with reference to a book by Ronald Heine, ***Classical Christian Doctrine: Introducting the Essentials of the Ancient Faith,*** Scot also pretty agrees with your assessment of the NT canon being recognized as Scripture pretty much by the end of the Second Century AD; although he does state as early as 150 AD was there a majority agreement for most of the NT books. There is a list of NT books called the Muratorian Canon (copy above, text below): Matt-John (Matt and Mark are not listed but it begins with Luke and it says he is the 3d); Acts, Paul’s letters, two rejected forged letters attributed to Paul, Jude, two letters of John, Wisdom of Solomon, and the apocalypses of John and Peter, the author saying he doesn’t like Apoc Peter. The Shepherd is too recent to be accepted. This is probably from the end of the 2d Century. Scripture, then, shifts from OT only to include the Gospels and then Acts and Paul and the apostles, and all this by the end of the 2d Century, with some nuances and discussions and debates. By Nicene, to be sure, the 27 books are more or less the NT. Regardless, the authority for Christian theology was the Bible — OT and Gospels and the apostles Paul, Peter and John.
. . . at which nevertheless he was present, and so he placed [them in his narrative]. (2) The third book of the Gospel is that according to Luke. (3) Luke, the well-known physician, after the ascension of Christ, (4-5) when Paul had taken with him as one zealous for the law,  (6) composed it in his own name, according to [the general] belief. Yet he himself had not (7) seen the Lord in the flesh; and therefore, as he was able to ascertain events, (8) so indeed he begins to tell the story from the birth of John. (9) The fourth of the Gospels is that of John, [one] of the disciples. (10) To his fellow disciples and bishops, who had been urging him [to write], (11) he said, ‘Fast with me from today to three days, and what (12) will be revealed to each one (13) let us tell it to one another.’ In the same night it was revealed (14) to Andrew, [one] of the apostles, (15-16) that John should write down all things in his own name while all of them should review it. And so, though various (17) elements [3a] may be taught in the individual books of the Gospels, (18) nevertheless this makes no difference to the faith of believers, since by the one sovereign[3b] Spirit all things (20) have been declared in all [the Gospels]: concerning the (21) nativity, concerning the passion, concerning the resurrection, (22) concerning life with his disciples, (23) and concerning his twofold coming; (24) the first in lowliness when he was despised, which has taken place, (25) the second glorious in royal power, (26) which is still in the future. What (27) marvel is it then, if John so consistently (28) mentions these particular points also in his Epistles, (29) saying about himself, ‘What we have seen with our eyes (30) and heard with our ears and our hands (31) have handled, these things we have written to you? (32) For in this way he professes [himself] to be not only an eye-witness and hearer, (33) but also a writer of all the marvelous deeds of the Lord, in their order. (34) Moreover, the acts of all the apostles (35) were written in one book. For ‘most excellent Theophilus’  Luke compiled (36) the individual events that took place in his presence — (37) as he plainly shows by omitting the martyrdom of Peter (38) as well as the departure of Paul from the city [of Rome] [5a] (39) when he journeyed to Spain. As for the Epistles of (40-1) Paul, they themselves make clear to those desiring to understand, which ones [they are], from what place, or for what reason they were sent. (42) First of all, to the Corinthians, prohibiting their heretical schisms; (43) next,  to the Galatians, against circumcision; (44-6) then to the Romans he wrote at length, explaining the order (or, plan) of the Scriptures, and also that Christ is their principle (or, main theme). [6a] It is necessary (47) for us to discuss these one by one, since the blessed (48) apostle Paul himself, following the example of his predecessor (49-50) John, writes by name to only seven churches in the following sequence: To the Corinthians (51) first, to the Ephesians second, to the Philippians third, (52) to the Colossians fourth, to the Galatians fifth, (53) to the Thessalonians sixth, to the Romans (54-5) seventh. It is true that he writes once more to the Corinthians and to the Thessalonians for the sake of admonition, (56-7) yet it is clearly recognizable that there is one Church spread throughout the whole extent of the earth. For John also in the (58) Apocalypse, though he writes to seven churches, (59-60) nevertheless speaks to all. [Paul also wrote] out of affection and love one to Philemon, one to Titus, and two to Timothy; and these are held sacred (62-3) in the esteem of the Church catholic for the regulation of ecclesiastical discipline. There is current also [an epistle] to (64) the Laodiceans, [6b] [and] another to the Alexandrians, [6c] [both] forged in Paul’s (65) name to [further] the heresy of Marcion, and several others (66) which cannot be received into the catholic Church (67)— for it is not fitting that gall be mixed with honey. (68) Moreover, the epistle of Jude and two of the above-mentioned (or, bearing the name of) John are counted (or, used) in the catholic [Church];  and [the book of] Wisdom, (70) written by the friends [7a] of Solomon in his honour. (71) We receive only the apocalypses of John and Peter, (72) [7b]though some of us are not willing that the latter be read in church. (73) But Hermas wrote the Shepherd (74) very recently, [7c] in our times, in the city of Rome, (75) while bishop Pius, his brother, was occupying the [episcopal] chair (76) of the church of the city of Rome. [7d] (77) And therefore it ought indeed to be read; but (78) it cannot be read publicly to the people in church either among (79) the Prophets, whose number is complete,  or among (80) the Apostles, for it is after [their] time. (81) But we accept nothing whatever of Arsinous or Valentinus or Miltiades, (82) who also composed (83) a new book of psalms for Marcion, (84-5) together with Basilides, the Asian founder of the Cataphrygians [8a] . . ..